Love the header and that quotation. Perfect for the season! Viv, I love the simplicity and the ease of using your site. Definitely look nippy. Always great to come visit! 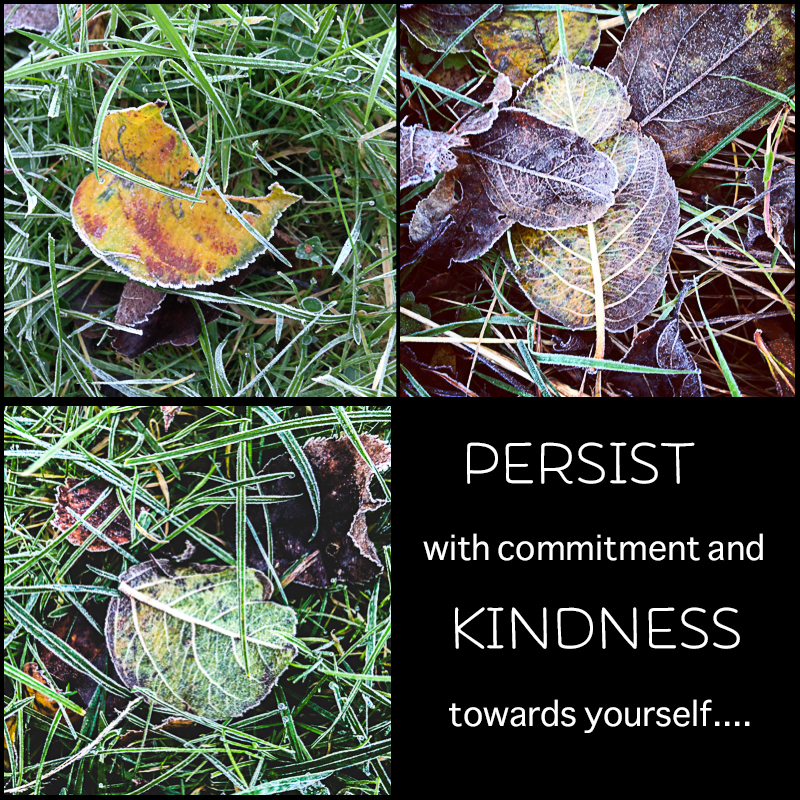 This vibrant collection of frosty leaves is a wonderful example of the beauty that can be found in winter. It’s so cold, I hate to venture outside, but now I see that I can train my eye to make the venture worthwhile (plus I’d really like to keep moving so as to limit the winter pounds I tend to accumulate). And the added caption – my gift to myself – a little kindness. I keep starting over – trying to change old habits of being so hard on myself. Your encouragement is a help to me! Lovely frost. It is looking good Viv. Makes me want to go to an area where there is frost just to photograph something like this. Truly beautiful Viv. Love your blog Viv, your header is wonderful !